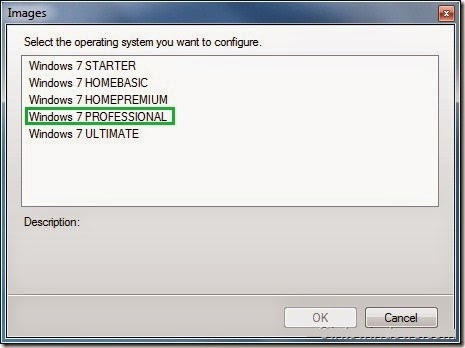 Integrating hardware drivers in Windows 7 installation setup is very simple with vLite. Although vLite was designed for Windows 7’s predecessor Vista, you can also use it to tweak Windows 7 installation setup.Users who often reinstall Windows 7 might also like to integrate all drivers in the installation disc to automatically install all drivers during installation. Windows Automated Installation Kit to run vLite software. Copy all the contents of your Windows 7 installation disc to a new folder in any drive. If you have Windows 7 ISO, use 7-Zip or WinRAR to extract ISO contents to the new folder. Run vLite software. In the main window, hit the browse button to input the new folder (with Windows 7 installation files). You will be asked to select your Windows 7 edition. Simply select your edition, In my case i am using Windows 7 Professional 64bit. Click Next to continue. In the Task Selection screen, you need to select Integration and Bootable ISO options. The Integration option lets you integrate drivers and language packs in your installation setup. Again, click Next button to proceed to the next screen. Here switch to Drivers tab and then select Enable option. Input the driver by hitting Insert button on the right and then navigating to the driver’s location. If you have stored all drivers in a single folder, please select Multiple driver folder option. 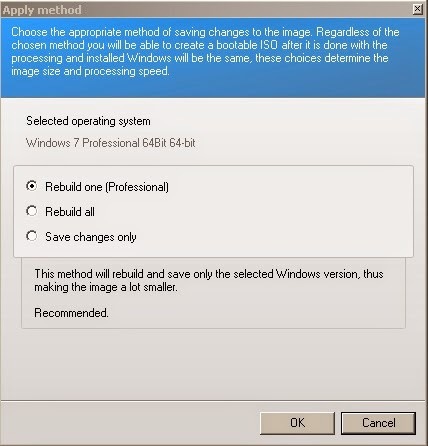 The first method will rebuild and save only the selected Windows version, thus making the image a lot smaller. The second one, Rebuild all, will rebuild and save all the versions, thus making it smaller than just Saving changes only method, but bigger than Rebuild one. In this guide, let’s select Rebuild one (Professional) method. Select the first one and click Ok to begin integrating your driver (s) with the installation setup. Wait for a few minutes to complete the process. Finally, click Next button and then select Make ISO button to create bootable Windows 7 ISO file with integrated drives. Once done, use Windows 7’s burn ISO to disc feature to create bootable Windows 7 DVD. You can also use any burning tools like Power ISO, Magic ISO etc to burn the ISO to DVD. And if you would like to create bootable Windows 7 USB, you can download ISO-to-USB utility to make usb which is faster and easy.